This is the second in a series of posts reviewing not Rob Bell’s new book, Love Wins, but the public conversation about that book. And more broadly, it is my attempt to examine the ways we (Christians) engage both one another and the concept of biblical and historical orthodoxy when we feel meaningful truth is up for grabs. I encourage you to read Part One of this series before you read the words below. I wrote most of this as one long essay and am breaking it into pieces for more reasonable reading (and editing), but I will pick up here on the direct heels of Part One. In addition to desiring a healthier ethic of family dialogue (or even enemy dialogue) at a personal and communal level (which is what Part One addresses), there is another dimension of this conversation that concerns me. Much of the fighting I’ve observed in recent weeks has been about what is and what is not orthodox Christian doctrine. I think that conversation should be ongoing within the Church. Really. We should never pause long from thoughtful and passionate engagement with the Bible, the Spirit, and one another when it comes to understanding, living, and teaching God’s truth. The problem is not that we’re doing that; it’s how we’re doing that. And the problem is not only that we often are exceedingly unkind to each other, though that is no small problem. We also are trying to discuss what is and is not orthodox seemingly unaware that such a conversation cannot find any productive end until we have the conversation before that one: the one about our sense of the “rules” of determining what is biblically orthodox and what is heresy. I’ll explain using Bellgate/Hellgate as an example, but first I want to offer full disclosure of my general take on Rob Bell prior to this book. I just know some can’t help but wonder how predisposed I am to critique or defend Bell, and I’d rather you not be distracted by that. Proof Rob Bell has been to heaven. Case closed. people who have a monochrome wardrobe and who are not Johnny Cash make me nervous. If I’m a Rob Bell fan, he’s in trouble (and he ain’t in trouble). I don’t dislike him, but I don’t go out of my way to keep up with him or expose myself to his teaching. I think he, like John Piper, is very smart, and I think he has a sincere passion and gift for telling stories that point to Jesus and for rooting what he does in the Hebrew tradition. My tendency with anyone I don’t know well is to weigh what they do and say with discernment and without a need or desire to classify them as a hero or an enemy. That is not a passive swipe at anyone else’s grid – just an attempt to explain my overall way of living and learning in the Kingdom. As for Love Wins itself, I have read only the preface. I have read a few reviews from those who have read the book, so I have some sense of what seems to be there. If the sum of those reviews (which represent both – actually at least three – “sides” of the primary debate) are accurate, I don’t agree with all of Bell’s conclusions (which he insists, rightly or not, are more hunches than conclusions). I also don’t find it as abhorrent as some do that he is asking the questions he’s asking or arriving at the conclusions I’ve read about so far. I suspect that the difference between my reaction and those who are more offended is not merely our particular list of orthodox beliefs. In fact, my bet is that if we were asked to make a list of essential orthodox beliefs, in many cases there would be little discrepancy. However, I think our rules for understanding orthodoxy itself (as a realized concept) may be different. Historically, orthodoxy has been understood as a collection of essential beliefs that unite the Church distinctly professing Jesus Christ as Lord. Within that idea has been an acknowledgement that not every orthodox Christian believes exactly the same thing about everything. There even has been a certain amount of assumed deviation among individuals, sects, denominations, movements, local churches, etc., on the beliefs considered essential. So orthodoxy has not traditionally been understood to be either an exceptionally narrow list of beliefs or an overly broad spiritual notion of something having to do with Jesus. It is something in between. Wait. Don’t trip out on me and start thinking about Rob Bell or hell or Ghandi or Rob Bell’s glasses yet. Just stay with the concept and indulge me for a few more paragraphs as though what I’m suggesting might have some merit. I’ll try to illustrate my point soon. What I want to surface here is not my disagreement with anyone in particular’s theology, but rather my sense of how much we use the same definition for “my theology” and “biblical and historical orthodoxy.” Of course all Bible-believing professing Christians are going to suggest that their theology is biblically orthodox. That’s not my point. According to the historic understanding of orthodoxy, your theology most likely is going to be orthodox-plus. In other words, you believe the orthodox confessions of the Church and you believe some other things with varying degrees of conviction. Those other things are part of your theology. They are not necessarily part of biblical and historical orthodoxy for the Church. In principle, I don’t think there will be much disagreement on this. But some of you are already thinking about the applications of the principle and mentally arguing with me like I’m Rob Bell. Stop it. I’m not. Stay with me. So as I wade into trying to illustrate my point in the context of the present controversy, consider this: I may agree with the theology of someone and also disagree with the way s/he arrives at his/her concept of orthodoxy. If it still doesn’t make sense, read the last three paragraphs again. If you do that and it still doesn’t make sense, just know this: we can believe the same things and not agree about how much everybody else has to believe what we believe to be considered part of the family. That’s the crux of my first concern. The second has to do with this question: Has virtually everything necessary and/or helpful to our understanding and practice of biblical, historic orthodoxy already been written or taught? Within the broadly held notion of biblical and historic orthodoxy are various theologians and Christian thinkers who we regard as orthodox. Again, there will be some disagreement on the margins, but there is a group of men (and a few women) who most of the professing Church would affirm as orthodox. Most of them are dead. Sad, but true. Those dead folks did the hard work (before they were dead) of sorting through enormous and weighty questions to contribute to a collective sense of historic orthodoxy. When someone like Rob Bell writes a book like Love Wins, though a real critique of what he has written is taking place, often there is also this implication: We don’t need some goggled-hipster in black trying to wear Augustine’s shoes. They don’t match his outfit and, frankly, Rob Bell has hobbit feet that won’t fit in Augustine’s Hulk-sized kicks. In other words, it’s not that Bell is only being dismissed because he’s young and not dead, but the arguments against his writing definitely are being “enhanced” by the not-always-subtle suggestion that all of the important theological questions relevant to orthodoxy were asked and answered a long time ago. Only I’m not sure the guys we credit with answering those questions intended their answers to be used like that. I’m not so sure some of them weren’t trying to model for the generations to come a way of continuing to wrestle with the same questions – and others that surface as the world changes – in light of the Bible through the guidance of the Spirit. They knew not everyone would arrive at the right answers (and most of them don’t claim to have arrived at all the right answers), but they generally seemed to think their particular vocation was important, not just for them, but for the future of the church. I don’t think they intended their work to be the final word on theology, and the purpose of contemporary theologians is not merely to read what the dead guys wrote to the rest of us. They continue the work of grappling with the nature of truth in the context of our world. I don’t have an agenda for a particular breadth of orthodoxy. I just think we’re prone to cherry pick historic orthodoxy to validate our preference for a particular kind of modern orthodoxy. That doesn’t make us sinister or intentionally divisive; just wrong. Sometimes we’re wrong. So what does all of that have to do with Rob Bell? Am I suggesting that we give Bell a pass to write whatever he wants as long as it’s vaguely Christian and he can claim to be doing the same kind of thing Augustine did? Not at all. Set aside Bell’s conclusions in the book for a minute (which I may or may not have mentioned I have not read) and just consider the outcry over the pre-release promotional material. Ghandi’s in hell? He is? And someone knows this for sure? Will only a few select people make it to heaven? And will billions and billions burn forever in hell? And if that’s the case, how do you become one of the few? Is it what you believe or what you say or what you do or who you know or something that happens in your heart? Or do you need to be initiated or baptized or take a class or converted or born again? How does one become one of these few? And then there is the question behind the questions. The real question, “What is God like?” because millions and millions of people were taught that the primary message – the center of the Gospel of Jesus – is that God is going to send you to hell unless you believe in Jesus. The virtual fire was ignited when Bell’s questions and statements in the video were deemed by a couple of well read bloggers sufficient to conclude he has wandered from the faith. Whatever the book itself reveals, the rewind here matters because in so indicting Bell, these men framed the conversation for thousands of people before anyone ever laid a hand on the book’s sweet translucent cover. This love compels us to question some of the dominant stories that are being told as the Jesus story. A staggering number of people have been taught that a select few Christians will spend forever in a peaceful, joyous place called heaven, while the rest of humanity spends forever in torment and punishment in hell with no chance for anything better. It’s been clearly communicated to many that this belief is a central truth of the Christian faith and to reject it is, in essence, to reject Jesus. I’ve also seen those words cited as proof that Bell is, indeed, a universalist, a heretic, a false teacher. I find the concept [of eternal conscious punishment in hell] intolerable and do not understand how people can live with it without either cauterising their feelings or cracking under the strain. But our emotions are a fluctuating, unreliable guide to truth and must not be exalted to the place of supreme authority in determining it. As a committed Evangelical, my question must be — and is — not what does my heart tell me, but what does God’s word say? I have never been able to conjure up (as some great Evangelical missionaries have) the appalling vision of the millions who are not only perishing but will inevitably perish. 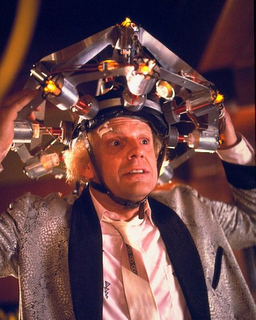 On the other hand… I am not and cannot be a universalist. Between these extremes I cherish and hope that the majority of the human race will be saved. And I have a solid biblical basis for this belief. 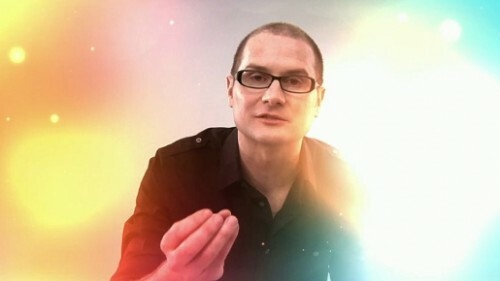 More pot-stirring from Rob Bell? No. 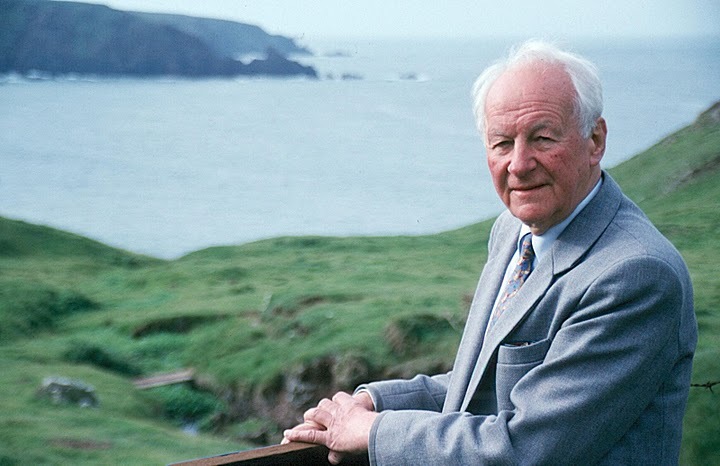 That’s John Stott, one of the most highly regarded evangelical theologians alive today. We do know that no person can be saved except through Christ; we do not know that only those who know Him can be saved by Him. Not Rob Bell. C.S. Lewis in Mere Christianity. We can safely say (i) if any good pagan reached the point of throwing himself on His Maker’s mercy for pardon, it was grace that brought him there; (ii) God will surely save anyone he brings thus far; (iii) anyone thus saved would learn in the next world that he was saved through Christ. Not Rob Bell. J.I. Packer, evangelical Calvinist theologian. The benefit of the death of Christ is…extended…even unto those who are inevitably excluded from this knowledge. Even these may be partakers of the benefit of His death, though ignorant of the history, if they suffer His grace to take place in their hearts, so as of wicked men to become holy. Not Rob Bell. Robert Barclay (whose statement was later affirmed by John Wesley as orthodox Christian theology). Not Rob Bell. Billy Graham. Listen, I don’t know that I agree with all of these guys. I’m certain many of Rob Bell’s critics won’t agree with all of the above statements. I’m not trying to play some silly game where I suggest that you can’t critique Rob Bell because C.S. Lewis said people who don’t “know (Christ)” might be saved or John Stott said he thinks “the majority of the human race will be saved.” I’d be a dummy to make that argument. I also recognize you can carve up what each of those guys said and distinguish it from what Bell said in the video or preface in some way. First, Bell’s critics have argued that even his questions in the video, which suggested that Ghandi might not be in hell and poked at the prevailing notion that most humans will be in hell because they have not willfully accepted Christ, are sufficient to brand him a universalist and bid him “farewell.” The clear implication is that these questions of who is and is not in heaven and hell and how that can be discerned by us have more or less been settled, and to ask those questions as Bell did suggests that one simply does not understand or embrace orthodox Christianity. In other words, orthodoxy has been defined according to a particular theology to exclude the kind of questions and suggestions made by Bell. What then do we do with men like Lewis and Stott and Barclay and Packer? Even if you parse their words as somehow different from Bell’s, it will only be by shades of distinction, and their statements still don’t meet the tests of orthodoxy being offered in the most stinging critiques of Bell. We must then either treat these men the same way, disqualifying them as heretics, or we must acknowledge that the Church has historically made more space within the dialogue about biblical orthodoxy for these types of questions and ideas about salvation, time, and eternity than we’ve more recently been told is true. It will come as no surprise that I choose the latter. Second, I think implicit in the words of these men is an acknowledgement that arriving at absolutely certain conclusions about the nature of salvation and the eternal treatment of “the majority of the human race” by God is, even for revered Bible scholars and theologians, incredibly difficult. What do each of the statements have in common? They are all about the nature of salvation, time, and eternity, and they all express uncertainty. (Actually, to be fair to Packer, he seems fairly certain that some who are saved will not learn until “the next world” that they were saved through Christ.) Some offer speculations, but qualified speculations that acknowledge a meaningful level of mystery. I believe all of them assumed that part of the healthy work of the Church for the rest of time would be the complicated, controversial work of questioning, sharpening, and prayerfully working out our understandings of even the most central of Christian doctrines. There seems to be little sense for them of the “on these matters there is no need for further speculation or deviation from the currently held mainstream view” that is so rampant in the present notions of evangelical orthodoxy in general and in the debate about Bell’s book in particular. I don’t think it’s unreasonable to conclude that these men (and others) considered the questions Bell asks in his video fair game for the work of a serious theologian. Let me say again that I offer none of this to defend Bell’s conclusions which I have not yet read. Again, I am reviewing the conversation about the book and, moreover, what the conversation reveals about how we have come to define and communicate about orthodoxy within the Church.